Students in San Francisco discuss global events. Over the next generation, whether they work for corporations, small businesses, government organizations, nonprofits, or other organizations, many U.S. employees will move from working primarily with American colleagues, bosses, and customers for American organizations in U.S. cities, to being part of global teams. As leaders, they will use technology to bridge geographic divides, build organizations that transcend borders, and work together with colleagues from around the world on issues such as climate change, food security, and population growth -- issues that require multinational teams coming together to effect change. Based on our work with more than 2,000 U.S. middle and high school educators on building global competence, following are five core strategies that we've seen educators adopt to effectively create the classroom of the future – a classroom that will build the necessary skills for educating globally competent students, and truly prepare them to thrive as responsible global citizens in the 21st century. 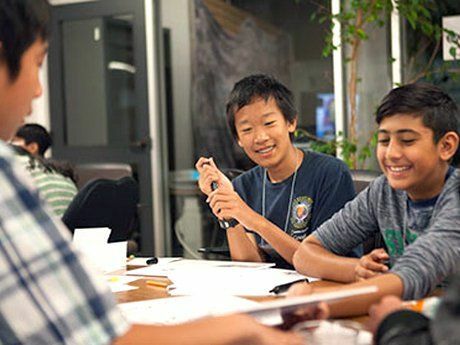 It's highly empowering to middle and high school students when we ground pedagogy and curriculum in case studies of significant global issues that have local impact, and use them to encourage self-directed learning. Here are examples of three case studies -- one on drought and desertification in Burkina Faso, one on water issues in Bolivia, and a third on the earthquake and tsunami in Japan. Leveraging this kind of material and encouraging students to think deeply and creatively about implications, parallels in their own community, and how they can affect change builds strong critical thinking skills and global context. For additional resources, check out National Geographic Education's case studies, such as this one on critical issues facing marine ecosystems, or its Current Event Connection page. Teachers in classrooms that actively build global competence encourage students to wrestle with the complexity of an issue, then design and implement solutions based on the students' own research. This helps students build an appreciation for the challenges of addressing both global and community issues. A teacher who challenges and encourages students to be comfortable with changing environments and circumstances simulates the realities of our deeply dynamic world. While this can be disconcerting, when coupled with helping students understand that even small actions can have a significant impact, it can be hugely empowering. An environment that places a high value on seeking out and leveraging a diversity of perspectives, particularly those with perspectives that are controversial or significantly different from the students' own, helps them build their "empathy muscles." A great resource for educators to consult is Ashoka's Start Empathy program, which includes an online course and supporting materials. In addition, here's a great Education World blog post on learning world geography. Reflection is regularly cited as a critical and important component of classroom learning. When it becomes routinized is when educators and students see the most benefit from it. Structured and frequent reflection, which students do both on their own and with each other, helps them apply learnings to future work. Consider these thinking and reflection routines from the Harvard Graduate School of Education's Project Zero. Building the classroom of the future -- a more globally competent, student-centered learning space that engages diverse learners -- has been given a boost by recent developments, including the Department of Education's International Strategy (2012-16) (PDF), outlining global competence as a key pillar of quality education; and plans for the PISA assessments to include global competence in 2018. These represent an important shift to a mindset where this type of learning is offered not just intermittently, but ultimately valued and given high-level priority as something that's fundamental to learning. As you consider these five strategies, how close is your classroom, or your child's classroom, to being a classroom of the future?